This series is aimed at introductory level undergraduates who have no background in ancient history and no experience in dealing with primary text. 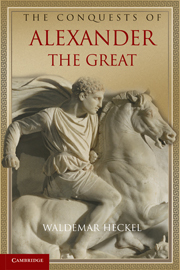 Each volume in the series will focus on a key conflict of antiquity. It will provide a basic narrative of the event - who, when, what; a critical overview of the textual and, where relevant, material sources for the conflict - how we know what we know; the consequences of the conflict - why we study it; and an account of the reception of the conflict in classical antiquity and beyond. The aim is to provide students with foundation before they read the relevant primary sources; and to enable the instructor to focus on problems and issues in class time, rather than rehearsing names and dates.